Simscape™ enables you to rapidly create models of physical systems within the Simulink® environment. With Simscape you build physical component models based on physical connections that directly integrate with block diagrams and other modeling paradigms. You model systems such as electric motors, bridge rectifiers, hydraulic actuators, and refrigeration systems by assembling fundamental components into a schematic. 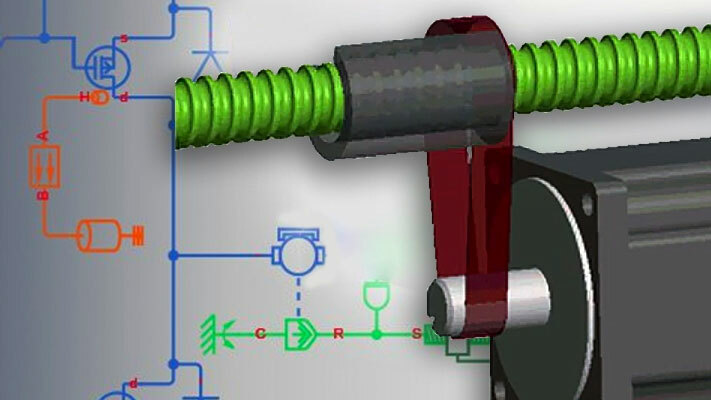 Simscape add-on products provide more complex components and analysis capabilities. Simscape helps you develop control systems and test system-level performance. You can create custom component models using the MATLAB® based Simscape language, which enables text-based authoring of physical modeling components, domains, and libraries. You can parameterize your models using MATLAB variables and expressions, and design control systems for your physical system in Simulink. To deploy your models to other simulation environments, including hardware-in-the-loop (HIL) systems, Simscape supports C-code generation.